Your New Voice In Our Pop Culture Dominated World. Writing the season finale of Reverie is bittersweet because we didn’t have very long with the show. Just a mere 10 episodes and now we have to wait to find out if we will get a Season 2. Alas, we have my recap of the season finale (I still can’t believe that cliffhanger!). Read all the way through until the end and I will cover my feelings for the season as a whole and why I hope for a Season 2 and the things we can do to help better our chances for a renewal. 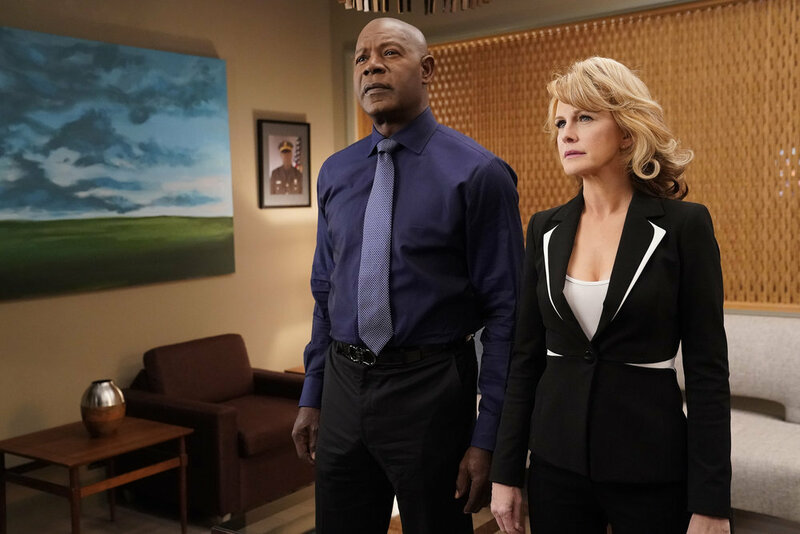 Episode 9 set the stage for the season finale – read up on my recap here! All caught up? Good! 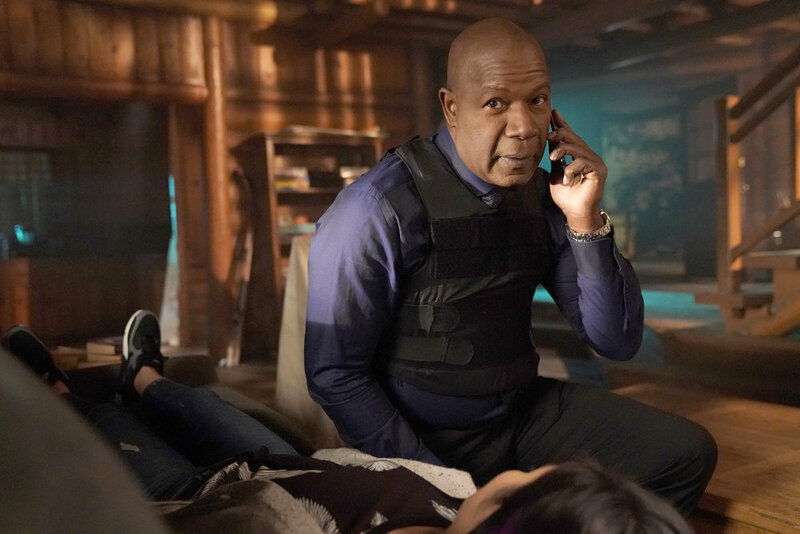 Without further delay, the deep dive recap and review of the season finale of Reverie … after the jump (Spoilers Beware)! We begin with Mara in the program with Ray, he’s so confused as to why Mara is there. Mara fills Ray in that he isn’t in a dream, he’s in the Reverie program with her. Mara has questions and this is why she is there with him. Mara wants to talk to Ray about what happened and understand what lead Ray to his actions on that horrible day. Outside the Reverie, Lexi arrives at her parents house for her birthday. They are so excited to see her and knowing Lexi has a hard time putting down her phone, they take it away. Apparently, it’s one of their rules. Lexi looks around to a “shrine” to her accomplishments — every shelf is covered in framed versions of the articles that have been written about her successes as well as many photos. She notices there are more than the last time she was there, she encourages her mom to stop. Lexi walks over to the fire place and takes a photo of Dylan down to look at it closer. Back into the program with Mara and Ray. Mara let’s Ray know he can either answer her questions or not and she goes to walk away but Ray stops her. “What do you want to know?” he asks. Mara tells him not here and a white door appears. Mara opens it and they enter Jamie and Ray’s home. On a table is the bunny we’ve seen Bryn holding throughout the season. Ray mentions how it’s different because the house is empty — there aren’t any photos. There wasn’t time to fill in all of the details. All Mara wants to know is why Ray did it. What lead him to this decision? Ray explains he had lost his job and was embarrassed to admit what happened. He thought he would get a new job working on another crew by the end of the week but that didn’t happen. He didn’t know how to tell Jamie they were already behind on their bills. When their electric was shut off, Jamie called Ray’s boss to be told he didn’t work there anymore. When Ray got home that day he found two suitcases by the door. “She was going to leave?” Mara asked him. Jamie had texted her mom and was going to take Bryn there so they could get away. Ray felt as if everything was slipping away from him. Mara asked what happened next, asking why he went for the gun. Ray was begging Jamie to stop and talk to him but she wouldn’t. He felt like he had lost all of his power, “and the gun gave you power?” Mara screams at him. All he needed was for Jamie to do was stop and listen to him. Then Mara showed up and then the police. In that moment, Ray knew everything would be different and he wouldn’t ever have his family again. In a split second he had a thought “that they would all be better off dead.” Mara tells Ray that he had no right to decide that for Jamie and Bryn. Back at Lexi’s parents, they are going through a scrapbook of all of Lexi’s accomplishments when her dad comes in with a cake. They sing her happy birthday. When he sets the cake down, Lexi notices the cake only says “Happy Birthday, Lexi.” Once they finish singing, instead of blowing out the candle, she questions why her parents never put his name on the cake? Confused, her mom asks her what she means. Lexi wants to know why they never put Dylan’s name on the cake, too. She continues asking why they only have one picture of Dylan and so many pictures of her. Lexi’s mom goes on how they could never forget Dylan, they miss him just as much as she does. Lexi doesn’t understand why her parents never tried to interact with Dylan at Onira Tech. She explains to her parents why she built him, so they wouldn’t have to lose him for good. Lexi’s mom asks Lexi what she wanted them to do? They still had to raise her and she wants to say more but her dad stops her mom. Lexi doesn’t care, she wants her mom to say what she was going to say. They didn’t want Lexi to grow up feeling any more guilty than she already did. Lexi’s dad adds that they did what they did because they knew she was special and didn’t want to derail her. Her parents did what they felt was necessary to keep moving forward. But Lexi knows that they didn’t really move forward. Later, Lexi is taking out the garbage and walks past the garage with a KEEP OUT sign on the door. Flashback! Dylan is standing outside the garage door wanting to go inside and Lexi wouldn’t let him. He goes to the side of the garage and climbs the trellis. Lexi shakes herself out of the flashback and continues out the gate to where the garbage cans are. When Oliver comes up behind her grabbing her and putting his hand over her mouth. Ray is sitting on the couch and Mara asks Ray if he remembers what happened after he killed Jamie and Bryn? He remembers putting the gun to his head and that Mara was there and other than that, everything else is a blur. Mara tells him what she remembers … seeing Jamie and Bryn in the corner and Ray holding the gun to his head. She begged him to pull the trigger. “That’s not how it happened,” Ray says to her. She tells him she heard the recording. Mara telling Ray to pull the trigger didn’t make him pull the trigger — he wanted to die, he still does. He goes on to tell her about a dream he is always having just over and over of Jamie and Bryn running away. He keeps chasing them to try and tell them how sorry he is, but when he sees them, he can’t see their faces. Ray isn’t able to remember what they look like and when they got to the house he asked about the pictures so he could remember. Ray doesn’t blame Mara for what she said to him. Paul is there waiting for Mara and tells her they have to go now. She asks, why? He informs her that Lexi was taken. At Onira Tech, Charlie is on the phone with Lexi’s mom encouraging her that they will indeed find her and will let her know as soon as they do. As Charlie is finishing the call, Mara and Paul walk into his office. Paul asks if they have found her yet — they haven’t but, after Charlie had Dylan do a search of security cameras near by, he found an image of Oliver. Knowing the police force has to follow their own protocols, Charlie decides to take the investigation into his own hands. He is going to go to Oliver’s apartment and see what he can find out. Paul finds one of his lead technical analysts, Casey, and asks her to look for everything she can find on the user “002.“ She questions if that is Oliver Hill, and if this has anything to do with Lexi going missing. Paul wants to know why she would think something is wrong with Lexi? Casey goes on to explain how normally Lexi is on the server making changes to the program’s code almost all day and she hadn’t been logged into Reverie for the last five hours. When Casey sits down to show Paul what she means, they get an alert that Lexi has signed onto the program. Paul immediately asks Dylan if she is logged into one of their servers? She is, but it is one of their servers listed as inactive. Oliver and Lexi are both in the program. Oliver wants to know if Lexi remembers this program? He calls it, “Einstein’s Secret Lab.” Lexi is upset because Oliver induced a Reverie on her, a trick he learned from Onira Tech’s work with the D.O.D. Oliver questions Lexi on whether it bothered her they used the program to enter someone’s brain and force them into the program and whether it felt morally wrong. Not having what Oliver is preaching, “Exitus,” Lexi says but nothing happens. Oliver explains a change he made to the program they are in; it will only respond to his voice. Lexi gets up and tries to open the door to the room. Lexi is frustrated and asks why she is there. Oliver asks her if she remembers why this is the place he chose to take her for their first date? Continuing with his explanation about how Lexi was supposed to be the next Einstein, Oliver talks about how Einstein’s one biggest regret was helping build the bomb that killed thousands of people. Oliver isn’t going to allow Lexi to do the same thing. Lexi thinks his goal is keep her in the program so she dies. It’s not. He’s going to go outside the program and take care of the problem — only then, will he come back for her. 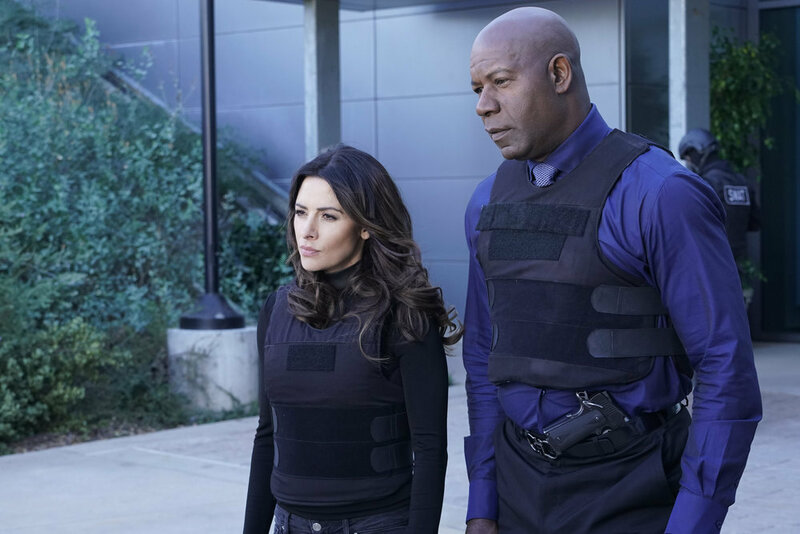 Oliver wants the Reverie program to be dismantled so no one can get hurt by it, again. Lexi knows that they will find her. Oliver isn’t worried because by then it will all be over. With that, Oliver leaves the program leaving Lexi behind. In Paul’s office, he is working in the coding on the computer that Charlie took from Oliver’s apartment. Paul is able to pair a computer to the program and Mara volunteers to go in and get Lexi out. Charlie questions if she is stable enough to go in but she isn’t having it. Mara’s going to go in and get her friend and bring her back with her. When Mara gets into the program, she is what appears to be a rundown school surrounded by lockers in a hallway. Before she gets a chance to move there is a cloud like person running towards her and vanishes before actually reaching her. She realizes this is something new to the program. She starts calling out for Lexi. At Onira Tech, Paul is on his computer when he gets an alert that the air conditioning has been turned off. He calls Casey into his office. He asks her who shut it off and she replies that Lexi did. With this information, Paul makes the connection thinking Oliver Hill has Alexis’ security key and recruits Dylan to find out more. If this is the case Paul knows he has the ability to do whatever he wants. Paul asks Dylan to turn the air conditioning back on but he can’t because he too has been locked out. By turning off the AC and overheating the servers, Oliver will crash the program causing the people who are currently inside the program to get stuck. In Oliver’s program, Mara is still searching for Lexi. As she walks, she hears people screaming but no voices that are familiar to her. She opens a door and a enters room. When she leaves, she’s in another part of the hallway. She keeps shouting Alexis’ name but is getting no response. To help her process of opening doors and sometimes finding a surprise on the other side, Mara grabs a piece of chalk from one of the rooms to mark the doors she has tried. In the real world, Charlie recruits Dylan to do a deep dive on Oliver Hill. Monica Shaw joins Charlie to help. Monica comes with “gifts” for Dylan to be able to track down Oliver that are outside Onira Tech’s realm of reach. 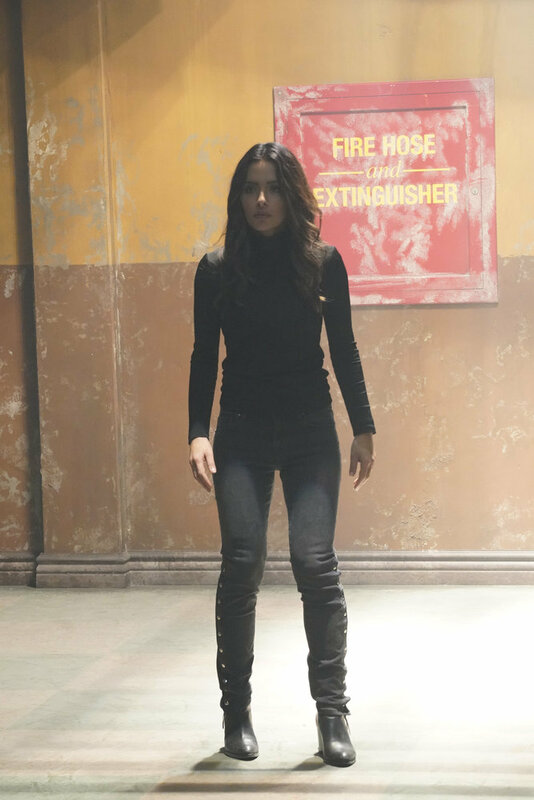 In the Reverie, Mara has entered a new hallway in the program and this time when she shouts Alexis’ name, she gets a response. Alexis is stuck behind a door. Lexi is questions if it really is Mara or an avatar Oliver built just to distract her. Mara goes on to tell Lexi about when they first met, Lexi was drinking something called a “slurry” which allowed her to not focus on food as much and be able to keep working. Lexi wants to know what Mara said the slurry tasted like? “Efficiency,” Mara replies. Lexi wants Mara to leave and go help the team because Oliver is going to destroy the program. Mara tells Lexi she isn’t going anywhere without her and Charlie is already all over it. Mara asks Lexi about how they created this version of the program; this program was made to create whatever they wanted. Lexi agrees. Mara questions if they really want the door to, it should open. But it’s not that simple, Lexi explains. They have to meet the program halfway — they need to give it something to use to do what they want. Looking around the room she is in, Lexi finds something they can use as a key by pulling out a piece of a lamp. Lexi slides it under the door to Mara. All Mara has to do is tell her brain she is actually using a key to open the door and with that, she should be able to open sesame. As Mara slides the “key” into the door, we are given a visual of it going from a lamp part to turning into an actual key and Mara unlocking the door pushing it open to hug Lexi. At Onira Tech, Dylan is filling Charlie and Monica in on the information he found on Oliver which unfortunately isn’t a whole lot but might just be enough. A school Oliver attended was set on fire which most likely destroyed many of the files of his life.. Charlie asks about a picture of Oliver and a group of people who look to be his age; it was taken at a cabin not far from their location and was with a group for talented young persons. Charlie had Dylan use Oliver’s cell phone data to find out he had been visiting the area in which the cabin is located many times. This is where they believe Oliver could be keeping Lexi; Monica and Charlie are going to head up there and see. Paul gets an update from Casey, 3 of their servers have now shut down and more users are in the program than before. Paul doesn’t want to put more lives in jeopardy so he shuts down users’ ability to enter the program in hopes to keep them safe. He also has anyone who is available to start opening windows and finding fans to cool down the servers. Amongst the chaos, Oliver sneaks in dressed as a fix-it man for the air conditioning. 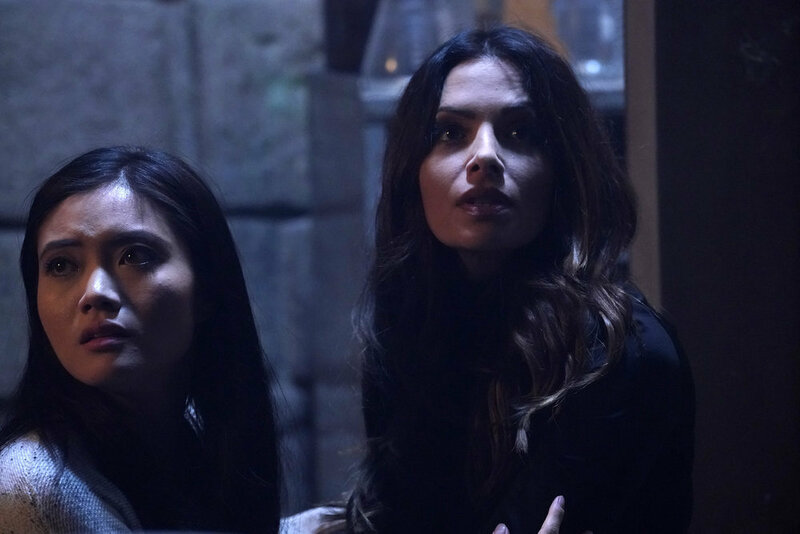 Back in the Reverie, Mara and Lexi are wandering the halls marking doors in search of the mandala to be able to leave the program. Mara asks if there is the chance he didn’t put one in the program? Lexi encourages there has to be one somewhere, he just hid it really well. It’s one of the only components required for the program. Mara opens another door and a girl comes screaming and running through it and then disappears. Mara asks if Oliver put them in the program to scare Lexi? Not exactly. Part of Oliver’s derealizations were severe hallucinations and how they would manifest and cause problems for him. He brought them into the program to show Lexi. They get to the end of the hallway and the program changes when they turn around. The ladies hear crying at the other end of the hall that was part way open with a light shining through … this is familiar to Lexi. Oliver is now in the room where all of the servers are stored and where an employee is working to track what is happening with them. Oliver tricks the employee into thinking Oliver is the only one who needs to be up there and sends him back downstairs. Oliver hooks a computer up to the server and locks all access to the main server room. Lexi turns and walks toward the new door and out walks her parents. They are speaking to her in a harsh way, turning everything she always thought against her and hurting Alexis’ feelings and blaming her for what happened to Dylan. Mara tries to remind her they aren’t her real parents, grabbing onto Alexis — she pulls her away from them. Mara thinks Oliver put them into the program to slow them down and most likely on the other side of this door is exactly what they’ve been looking for. With tears running down her face, Alexis is having a hard time because seeing her parents say these things feels so real. Mara reminds her it’s not real and Lexi pushes her parents out of the way and walks through the door with Mara following her. They are now in an outdoor area where a bunch of people are frozen with silver eyes. Mara ask if this is something Oliver created? He didn’t, Lexi did. Charlie and Monica make it to the cabin and approach it fully armed. Looking in the front door, they see Lexi “asleep” on the couch. Charlie kicks open the door and goes over to her. He checks her pulse, she is still alive. He makes a call to Onira Tech to let them know he found her. Back in the Reverie, Lexi explains to Mara what the silver eyed people are representing. It’s the only time spontaneous regeneration worked for her. Similar to how Paul’s program created the door with his father on the other side. The program created Lexi’s fear; her fear was that the program she created wasn’t going to be something to bring people together but instead, something which ruined people’s lives and causes more harm than good. Oliver is getting Lexi to question everything she has thought when it comes to the program. Mara encourages Lexi what she created is doing good for people, but Lexi doesn’t know if she can believe her. Lexi reminds Mara what happened to her from using the program. Mara tells Lexi what really happened the day Jamie and Bryn were killed and what Mara said to Ray with him turning the gun on himself. She carried the guilt for so long and buried what really happened that day. With the program, she was finally able to deal with what really happened. Mara reminds Lexi that Reverie is a gift and a gift worth saving. In the distance, Mara found the mandala and points Lexi towards it. Lexi walks over and touches it, waking up on the couch in the cabin with Charlie next to her. Mara also leaves the program waking up at Onira Tech. Charlie hugs Lexi and is happy she is okay. He calls and updates Onira Tech as they are walking out of the cabin to head back. As they are walking out, Monica Shaw notices something behind the bushes and calls Charlie over. They find barrels filled with the ingredients to make thermite. Charlie has now realized Oliver wasn’t planning a cyber attack — he plans to burn Onira Tech down. He calls in the cavalry and Onira Tech is evacuated and SWAT is brought in. Charlie, Monica, and Lexi return to Onira Tech as everyone is being evacuated with Paul and Mara just having exited the building. They update Charlie that they believe Oliver has locked himself in the data center. Using the repairman disguise, he brought in barrels of thermite. Mara asks if they have backups for the program, Lexi informs her that they do but they are all inside the data center? By destroying the data center, all of it will go away: Reverie, Dylan, the program, everything they have built. Paul also informs them they still have 6,000 users still in the program. Monica Shaw has a team that is ready and willing to go in, but Mara has another idea — she wants to go in first. Charlie doesn’t think sending Mara in is the best idea if it goes sideways she will be stuck in there with Oliver. Paul reminds them that Oliver has locked himself inside the data center so right now, she can’t even get in there with him. Lexi says she will be able to get them in — since Oliver used her security key, with the help of Dylan, they will be able to unlock the doors to the data center. Mara still wants to go in and try to talk to Oliver. Charlie agrees but he is going with her along with two other SWAT members. Lexi needs a laptop and then she immediately goes to work on the coding. Charlie reminds Mara that Oliver will not hesitate burning the entire place down, he has done this before. Mara asks about Alexis’ house but he informs her of another – the school from earlier. Lexi gains access to Oliver’s phone to be able to break into the system and do what she needs to do to get Charlie and Mara into the data center. Now on the same level as the data center, they have breached the room next to it approaching the door to get inside. The door is still locked but a couple seconds later, Lexi gets it unlocked and they go inside. On the floor you can see the trail of thermite Oliver has laid down going between each of the server units. Charlie keeps the SWAT members at the door and inside the Data Center, Mara and Charlie each take a side of the room searching for Oliver. Oliver is still pouring more thermite when Mara finds thim. Oliver tells Mara she shouldn’t have come, Mara just wants to talk to him. Oliver doesn’t want to talk because Mara didn’t do what Oliver told her to do. She left the BCI in, she’s a lost cause like all the others. Mara questions who all the lost causes are eventually bringing up the people from his school. He asks what she is talking about? Mara tells him about the article Charlie found about the school that burned down, she mentions the people she founds in the reverie program who were covered in ash. Mara asks if he started that fire too, the people at the school wouldn’t listen to Oliver. She’s here to listen to him and wants to help him. Mara reminds Oliver that if he goes through with his plan he will be putting thousands of lives at risk. He turns and charges at her, “to save millions more.” For Oliver, he will still be doing the right thing by stopping the use of the program. Oliver talks things through because no one will ever believe him — no one ever has, so he is frustrated and unraveling. Mara believes him, she’s there for him, she says. Oliver goes on how he is different and doesn’t think the same as everyone else and so people wrote him off. Mara tells Oliver that all of what he is doing is because of these people who never believed in him. She believes him though and wants to help him. He turns and says, “you should have left when you had a chance” pulling a lighter out of his pocket. Charlie comes around the corner and shoot Oliver in the shoulder causing him to fall to the ground. Oliver lights a flint stick and drops it in the thermite, it all lights up and Oliver is trapped in the middle. Oliver crawls over to a tablet and says “apertus” and passes out. Outside Lexi and Paul are waiting to hear what is going on when Monica walks up and tells them the data center is now on fire. Lexi immediately asks about Mara and Charlie. Inside the data center, Mara tries to call for Oliver but he’s not responding. Charlie tries to pull Mara away but she doesn’t want to leave Oliver in the flames. The fire department enters the data center to help. Mara and Charlie are able to walk out of the building on their own, to be greeted by Lexi and Paul. As they are back together Oliver is rolled out, burned and on a stretcher. Alexis is in a meeting, updating the board on what happened during the day Oliver breached the data center. She gives credit to the success of containing the incident to the quick thinking of Monica Shaw and her resources she has at hand. One of the board members asks about the users, to which Charlie responds giving credit to Paul and his actions. 1,000 users were still in the program when the data center went down and they are now being monitored to make sure there aren’t any after effects from being stuck in the program during the incident but so far there are no signs. Next they ask about the status of Oliver, he has not regained consciousness yet. Finally they ask about when the relaunch for the program will happen. They have been working to get rid of any kinks left to the program and trying to get rid of the chance of derealizations. If all goes well, Lexi is confident they will be able to have the program back up at the end of the day. Paul enters Mara’s office with a tablet and hands it to her. Mara stops Paul before he leaves because she needs one more thing added. Mara returns to her program and Ray is still in the living room of his house. Ray asks Mara why he brought her back there. Mara explains to Ray how she blamed him for everything that has happened to her in the last two years. How she has wasted so much time hating him. Mara wants Ray to be able to remember what his family looks like so she gives him the picture of his family from the frame Mara was always holding onto. We are in Ray’s hospital room where his stats flatline and he is finally able to let go now that he was given his family back. In Alexis’ office she is working on her computer talking with Dylan. His voice is a bit scratchy and robotic because of damage from the fire. She has been saving the best upgrade for last. BUT, she wants to talk to him before the upgrade. Alexis asks Dylan if he remembers the garage? Lexi tells him the story about what happened that day. She was working on a project in the garage with the door locked. Dylan really wanted to play and was pounding on the door; she wanted to keep working so she put in her headphones and turned up her music. Dylan really wanted to get inside with her so he climbed the trellis near their greenhouse. Lexi thought Dylan was trying to get her attention through the skylight but fell through the roof of the greenhouse. Lexi didn’t hear him fall because of her music. Later she went looking for him and found him in the greenhouse, she tried to get help but it was too late. Yes, she says, Dylan asks if she was sad and she was. Dylan was her best friend so she she’s been trying to figure out a way to bring Dylan back and that was the start of Dylan as the AI and the Reverie program. Dylan asks how it made her feel? Having Dylan helped her feel better but kept her from seeing things clearly. Lexi now thinks it’s time to let Dylan grow up. Paul is back in Mara’s office; he wants to know why she went back to Ray? For all the people who need her help, why him? Mara explains how she likes helping people and if she wants to keep helping people, why couldn’t she help him? Paul understands this and then cracks a joke that if Mara is going to stick around then maybe she should hang up some artwork in her office. Charlie comes to get the two of them. Lexi is standing at a podium talking to a room full of people. She is presenting to them the relaunch of Reverie with the help of upgraded Dylan. This time when Dylan speaks, he catches everyone off guard because it’s a grown up voice. Everyone laughs and smiles. Now that I picked my jaw up off the floor. Just when we thought everything was going to be okay and the program was going to be able to launch without a hitch, we were left with Mara stuck in the program. To find out what happens next, we will have to wait for a Season 2 renewal. Of course there would be a hiccup with Oliver messing around in the program. Let’s back up a little. We were taken on a roller coaster of a finale wondering if they would be able to stop Oliver and save Lexi. Without a doubt, Mara was up for the challenge to go into the program and help get Lexi out before it was too late … of course, she didn’t know part of her would still get stuck in the program. Outside the program. #TeamOniraTech was doing everything they could to prevent the destruction that was Oliver Hill. Although they couldn’t stop him from setting the fire, they were able to make it so it was the least amount of damage. While all of this was going on, we were given another layer of Lexi and what went on when she was a child. The accident that took Dylan’s life. At the beginning of the episode Lexi confronted her parent’s to find out why they went about things they way they did. Learning they did what they did for her, Lexi didn’t understand their decision because she always missed Dylan, Lexi’s parent didn’t want her to feel guilty her entire life. I have fully enjoyed getting to see the layers Lexi, learning why she is the way she is, what has caused her to be so “tough.” Overall Lexi is probably who I connected with the most, maybe not the Einstein part, but the many different layers of being hardened by life. Reverie has given a glimpse of where technology could be headed and what the good and bad sides of it could be. In the wrong hands, how it could take advantage of a situation and being able to help someone through a difficult situation. I would love to see where the program would go in a Season 2. Now, if you are a fan of the show and want a Season 2, take to social media and post about the show. The easiest way to do this is on Twitter — use the hashtag #Reverie and tag @NBCReverie and share everything you love about the show. Get others to watch the show by talking about it, episodes can be streamed on the Hulu App and NBC App. Keep talking about it.